These six Apache AHs for the Army are good beginning. Quick follow up in larger numbers is the need of the hour with conflict knocking at our doors. In September 2015, India had signed a deal for procuring 22 Apache helicopters from the US at the cost of Rs 13,952 crore for the IAF. Following this, the Army had sought government approval for acquiring 11 Apache helicopters as as "a follow-on contract". As per the earlier contract of 2015, the 22 Apaches are to be delivered to the IAF commencing July 2019, along with 812 x AGM-114L-3 Hellfire Longbow missiles, 542 x AGM-114R-3 Hellfire-II missiles, 245 x Stinger Block I-92H missiles and 12 x AN/APG-78 fire control radars. Now media reports state that on August 17, 2017, the Defence Acquisition Council (DAC) of MoD has cleared the acquisition of six Apache attack helicopters for the Army at a cost of Rs 4,168 crore. These helicopters will be armed with Hellfire and Stinger missiles. Many would be unaware that when General Sunderji, then Army Chief had accompanied PM Rajiv Gandhi visiting the US in July 1985, the former wanted to acquire two squadrons of the then version of the Apache Helicopters for the fledgling Army Aviation of the Indian Army. However, finding the cost very high even without armament, the idea was dropped. The US Army selected the Apache YAH-64 in 1976, which went into full production in 1982. Subsequently, the Apache AH entered US Army service in March 1997. 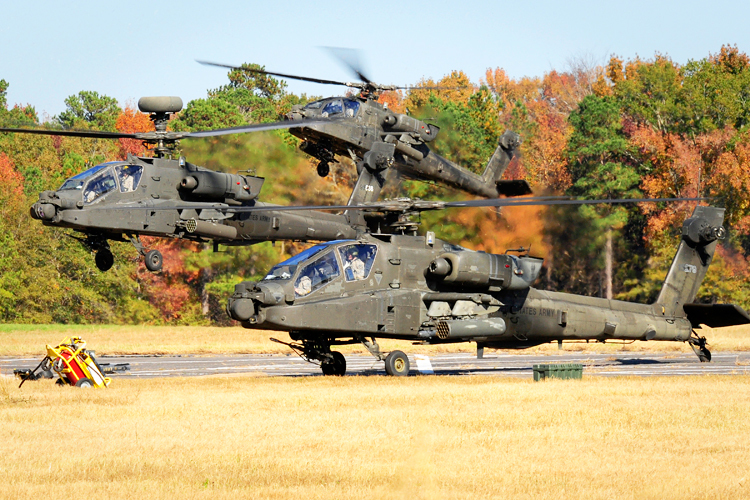 Boeing has produced over 2,000 AH-64s to date. The configuration of the six Apaches cleared for the Army will be from the 11 airframe options as part of the 2015 IAF deal on a 2009 price lock. The final airframe count, will be 33 Apaches with the IAF and 28 with the Indian Army for a total fleet strength of 61 Apache helicopters. In June 2016, Boeing and Tata Advanced Systems Limited (TASL) had joined hands to set up a facility in Hyderabad to co-produce fuselages and other aerostructures. The joint venture (JV) Tata Boeing Aerospace Limited (TABL) has been established for producing AH-64 Apache helicopter fuselages and other aerostructures besides producing integrated systems in aerospace. This Hyderabad-based TABL facility will be the sole production facility of AH-64 fuselages globally. The facility, set up with an investment of Rs 400 crore, is a significant step in developing Indian capabilities in defence and aerospace manufacturing, and as significantly export. Tata Advanced Materials have also delivered composite panels for the power and mission equipment cabinets and auxiliary unit door farings for the P-81 long-range maritime surveillance and anti-submarine aircraft. 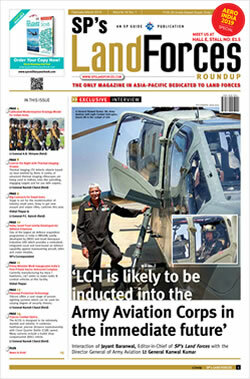 As for the Apaches, the Army for long has been pushing for three squadrons of attack helicopters, among other aerial platforms, for its three Strike Corps. The previous government had granted 'in principle approval' to the Army's case for raising three squadrons of attack helicopters (13 AHs each including three reserves with each squadron) for its three Strike Corps located at Ambala, Mathura and Bhopal. 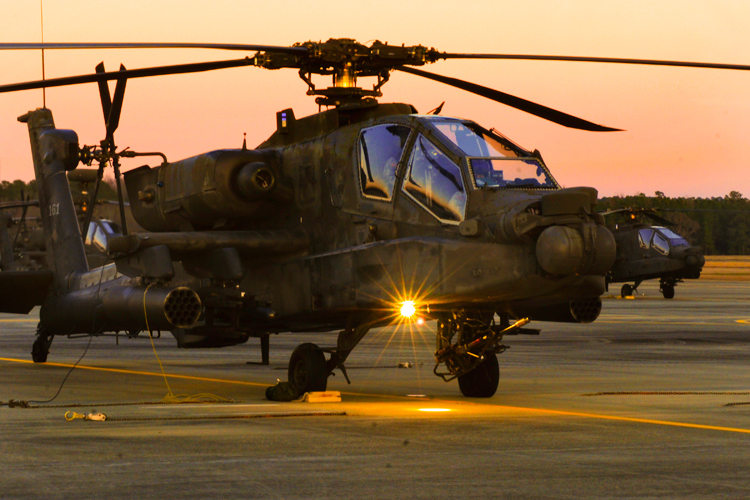 The 'AH-64-E' Apache helicopters are one of the most advanced multi-role combat helicopters which have advanced weapons systems and night-fighting features. It is presently unclear when the decision to acquire additional numbers for the Army albeit it is certain that more will be provisioned. Our media at times has been unduly critical with headlines such as 'Amy wants its own Air Force' and the like, as also needlessly hyping the 'tug of war' between the Army and Air Force as to who should own the attack helicopters. Though IAF pilots have been flying Army's Mi-35 heavy attack helicopters functioning under Army's command and control, the Army is now the principal customer of the indigenous Rudra, armed version of the ALH produced by the HAL. The Army has already placed orders for a number of indigenous attack helicopter variants including 60 x Rudra helicopters. The Army also plans to deploy 97 x Light Combat Helicopters (LCH) being developed by HAL for deployment pan-Army. The growth of Army Aviation and induction of Apache AHs in it are operational necessity for intimate support for mechanized maneuvers and other ground operations, with Army exercising full command and control of over tactical air assets, while the IAF handles the strategic assets. The Mountain Strike Corps of the Army is also being raised. 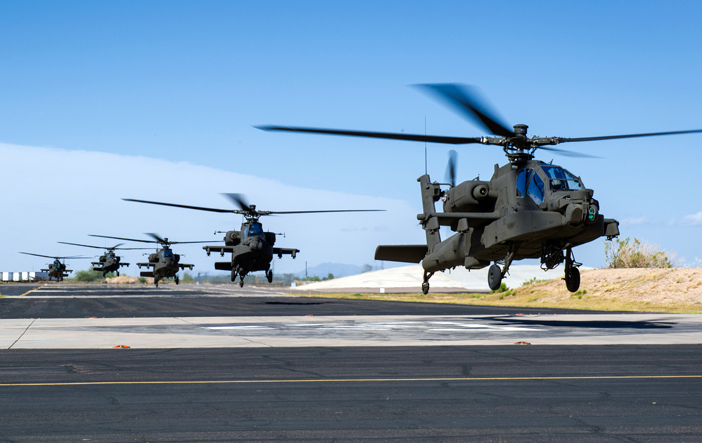 The Army needs combat helicopters for its aviation wing to enhance its fire power along the borders both with China and Pakistan, especially where aggressive air support is crucial for advancing ground troops in short-term strike. These six Apache AHs for the Army are good beginning. Quick follow up in larger numbers is the need of the hour with conflict knocking at our doors.